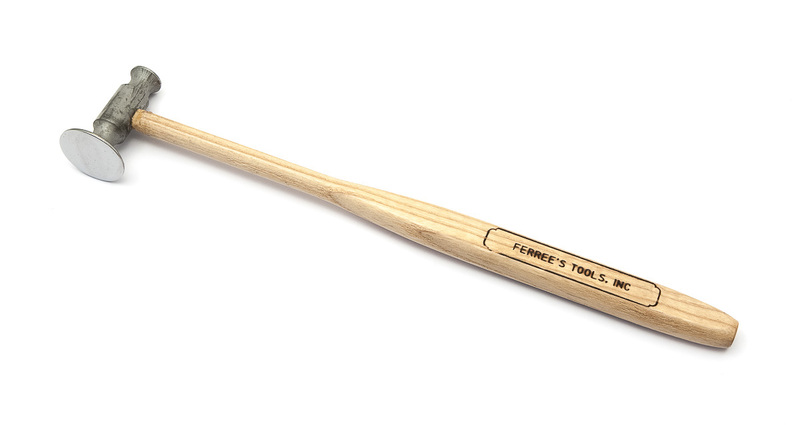 This hammer is a larger version of FF10A, with a large, flat faced side which is perfect for dent work on a wide range of Brass and Woodwinds. The other head is smaller and more precise, allowing for refined dent repair. This hammer is heavier and is perfect for Trombone slides or bigger brass repairs. We recommend coating the faces in self adhesive teflon (FJ9) to reduce marking.